Now, each topic is a group to make it easier for admins to find related features. There are only two instead of three menu levels. Enlarge the following graphics to see all menus and their new position. 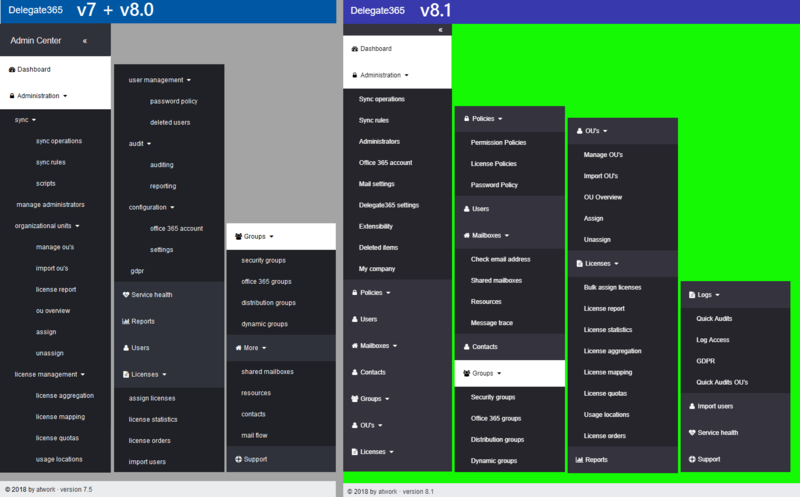 The left side (gray) shows the full menu of Delegate365 version 7.x and 8.0, the right side (green) shows the new menu Delegate365 version 8.1. If you prefer text form, pls. 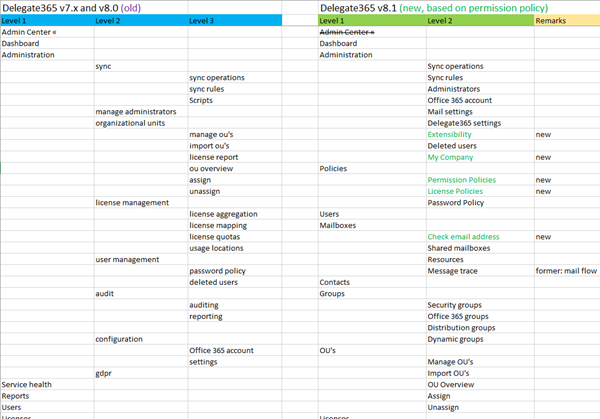 find an Excel sheet for download with that comparison here. The green menus are new. The last menu restructuring took place in January 2017, so it it was time to re-group functions that belong together. It might take a little time to get used to the new menu, but we think, the new structure provides a better overview and the grouping makes sense. This goes hand-in-hand with the new Delegate365 permission and license policies that will be covered in the next article. Hope you like it!